To innovate is to envision. And who are those that stretch the boundaries of imagination? Children. Every day, with their boundless creativity and energy, they are testing their knowledge, bringing fantastic ideas to life. We have seen so many young roboticists, web entrepreneurs, and investors that are driven to change their environment, to create products that help others, start their businesses. Innovation is the driving force, but one has to see the world as it could be. That’s what they do. Thus they come up with the PillMinder, and a wristband for detecting blood alcohol content, or the Steam Viper, a device that defrosts a frozen windscreen in around 15 seconds, and Hiccupops, the world’s first lollipop that helps suppress the hiccups. “Even if you are a kid (…) you can do anything”, says Lili Born, a 10-year-old who invented No Spill Cup, a cup almost impossible to spill, inspired to help her grandfather who has Parkinson’s disease. What they accomplish, keeps us motivated to test and challenge our ideas, skills, and knowledge. What they do is truly praiseworthy. Kids have dreams, and what we must do, is support them. And that’s what we happily do. We had a great opportunity to support such courageous and inspiring young roboticists behind the project called The Thing, a fully functional robotic hand that can be used in medicine, gaming and other industries. 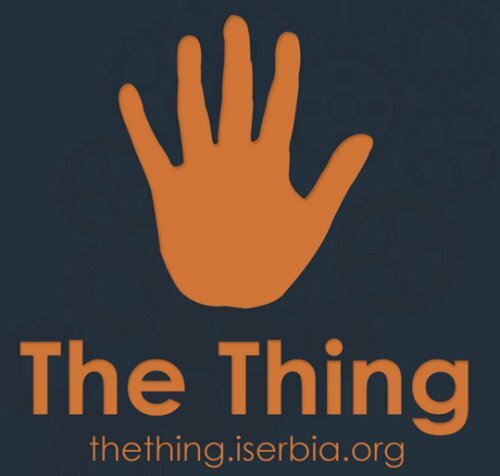 The high school robotic team from Sombor, the city in the north-west of Serbia, created and developed an autonomous robotic hand, which resembles a human hand. The project involved developing a mechanic model of the hand, made from silicon, and software. A human hand operates the robotic hand with a microcontroller, and a software tracks these mechanical movements, enabling one to operate and control a robotic hand via computer. 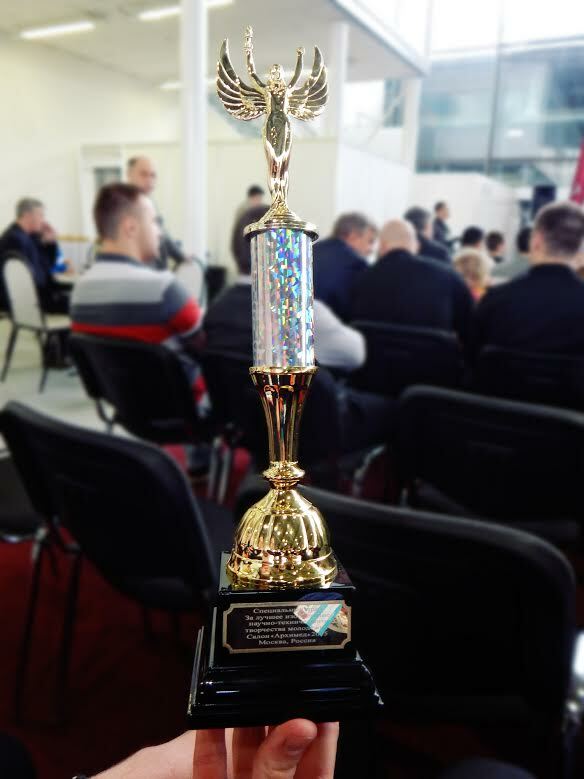 For this project, they received numerous prestigious awards, and were called to participate and present their project at the 18th Moscow International Salon of Inventions and Innovative Technologies, where they will be able to introduce themselves to the world. They launched an IndieGoGo campaign, but unfortunately not entirely successful. We met this amazing team at the Startup Weekend in Novi Sad where they introduced their project showcasing how the hand operates and how it is used. But, as time was going against them, the only way left to help them reach their destination was to donate 1000 euros. The last thing left to do was to design T-shirts for the team, so we helped them get the best ones. Developing cutting-edge solutions in various industries and science affects the lives of millions. Thus we helped them so that they can help others, and as you can see, they have reached their destination. More importantly, they received the Special prize for the best invention of scientific and technical creativity of youth! Congratulations! As the company that supports innovation and creativity, we strive to encourage initiatives, projects, and ideas that are to bring change, and we are proud to be a part of one such amazing idea. One of the things that define a positive corporate culture is the ability and willingness to share your knowledge, to support the ideas that benefit us all and to help others bring change. Together, we can bring fantastic ideas to life. Moreover, it’s crucial to support those who can bring change. Our community programs include different options, and we regularly support and take part in different initiatives, from global Drupal, Symfony and IT events in London, Munich, San Francisco, Belgrade, etc., and initiatives such as IT Soccer League for Children’s Village (children without parental care), and other. We often say that the reason we love Open Source technologies is that we get to learn from each other and give back to the community. There are many people in the world, regardless of their age, you can learn from and make the world a better place. Now, take a look at their project, support them, and like their Facebook page.